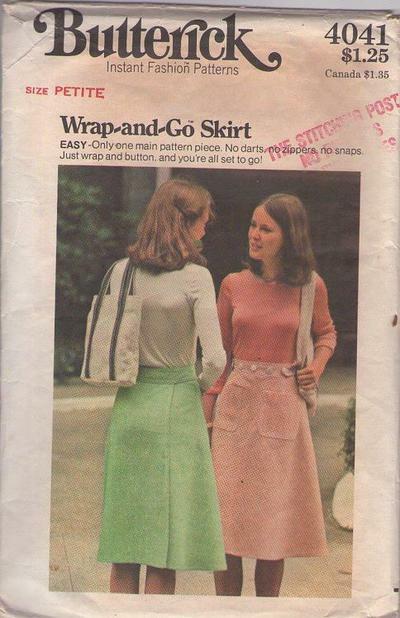 70s Petite, Retro Beginners Clothing Patterns - EASY—Only one main pattern piece. No darts, no zippers, no snaps. Just wrap and button and you’re all set to go! Below knee length wrapped A line skirt has bias front, buttoned waistband, patch pockets, and topstitch trim. Purchased tops.